As part of the Core Task implementation Project (CTiP), classroom teachers worked with the Accountable Talk Sourcebook. The sourcebook is a rich resource and complements many of the indicators within the Instructional Practice Guides (And it’s free!). 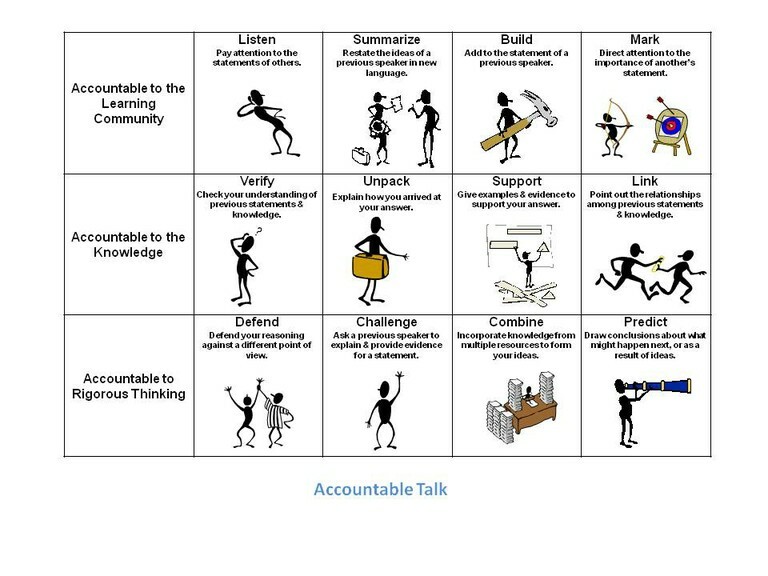 For those interested in taking advantage of Accountable Talk in their classrooms, the Sourcebook as well as these stems and these Accountable Talk Cards may prove helpful. This entry was posted in Core Task Project, CTiP and tagged Accountable Talk, CCSS, Common Core State Standards, Core Task Project, CTiP, Resnick. Bookmark the permalink. Oh CTP, I could just kiss you! (Yes, I said it.) Much love from Martinez USD, as always.